Jason Major continues to delight players with screenshots of the next update - Pocket Edition 0.15.0. In this time we know that the developers have added a lead in the new version. 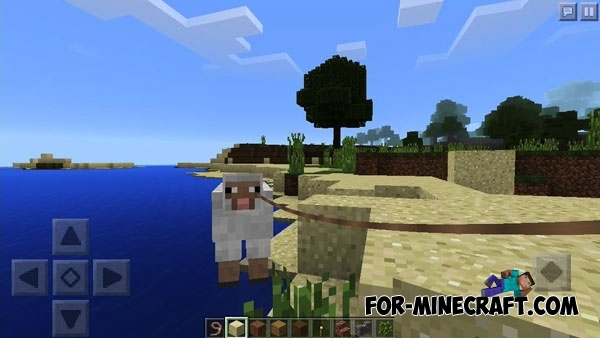 With it you can to leash mobs to fence or simply lead them behind itself. Full list of changes (MCPE 0.15.0).